From his offices in Toronto, Jonathan Buick sees the glitter of opportunity more than 2,000 miles away. On the outskirts of Elk City, Idaho, is Buick’s Xanadu, the Baner project, where he has just struck gold. “We drilled 19 holes and we hit mineralization on every hole. The further to the north we got, the shallower it was and the better the grade,” says Buick of the 1,705 hectare exploration site. If history is any guide, Baner’s potential is substantial to say the least. The Elk City area had numerous alluvial gold deposits dredged from the tributaries of the Clear Water River, which runs through it, between the 1850s and the late 1980s. And Crooked Creek, an area just north of the Baner project, yielded about 1.5 million alluvial ounces between 1880 and 1910. Before moving to acquire Baner in November of 2016 and set up Idaho Champion Gold Mines Canada Inc. (CSE:ITKO) via a reverse takeover, Buick and his colleagues reviewed over 250 gold projects globally. The scope of the search was narrowed to places within an appropriate time zone and a favorable, English language legal jurisdiction. Idaho emerged as the best bet. Baner was purchased for US$500,000 from a local family, who had owned it since the 1890s. Last June, the first exploration of the site in modern times began. Idaho Champion’s first drilling effort at Baner yielded a discovery zone which is about 500 meters north to south by 200 meters east to west. As much as 5,200 meters of core was drilled in 19 holes as part of this maiden campaign. And the results included an assay from a hole which intersected 5.76 grams of gold per tonne over 12.65 meters. The company recently purchased six additional claims, which allows it to increase its strike length a further 2 kilometers. The results at Baner are being analyzed to plan the exploration program for this year’s field season. Baner remains Idaho Champion’s focus, but just a couple of counties away sits the Toronto company’s second gold project, Champagne, not far from Arco, which it staked in February of 2018. Buick is a businessman who likes to have options as a hedge against uncertainty. So, last November, in a bid to diversify, Idaho Champion purchased 822 federal US cobalt mining claims in four blocks – Victory, Fairway, Twin Peaks and Ulysses – (about 6,871 hectares) in the Idaho Cobalt Belt, just outside of Salmon, Idaho, from American Cobalt Corp. for a price of 4 million shares. Buick reports that his investors supported the move. “When we picked up the cobalt, I went out to each of my investors and said I’m going after some cobalt because I think it’s important to have exposure to the market and also to protect us should we not be successful at Baner,” notes Buick. Despite a sharp price correction in 2018, growing demand for lithium-ion battery elements are predicted to sustain cobalt prices into the 2020s. And the Idaho Cobalt belt represents a top district for primary cobalt discoveries. Field work including site surveys, ridge & spur soil sampling, rock sampling and geologic mapping kicked off at Idaho’s four cobalt ventures last November in a bid to gather information for a more robust effort this year. Under review now is whether to spin out the cobalt projects into a new company; to sell them and keep an interest; or bring in a partner. “Right now, we’re reviewing all of those options on the cobalt that will allow us to come back and focus on the gold,” Buick reports. Having raised more than $400 million throughout his lengthy tenure in finance, Buick, who specializes in securing strategic capital in Korea and Japan as a managing director of Harp Capital and his own investment firm, enjoys a reputation as a money finder. Before Idaho Champion started trading on the CSE at the end of September, Idaho raised more than US$3 million. It remains pre-revenue, however, and posted a net loss of C$2.36 million in the three months until the end of September, according to its latest regulatory filing statement. But business is percolating, and Buick is confident that money can be found. “We have shareholders who said they would commit to the next source of funding when that is needed,” he says. He also points out that the company is not only engaged in conversations about its cobalt projects, but it’s also been approached by some larger gold companies about how they can participate in Baner. 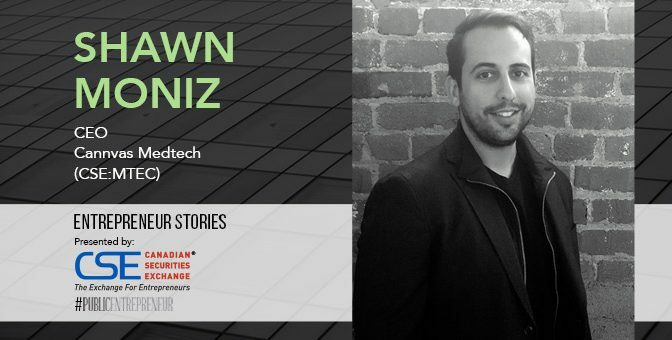 This story was originally published at www.proactiveinvestors.com on March 8, 2019 and featured in the Public Entrepreneur magazine. 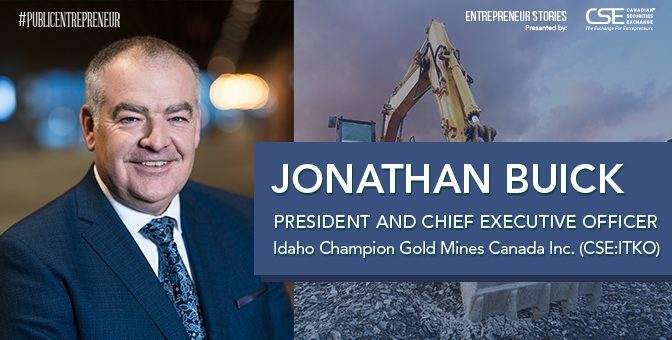 Learn more about Idaho Champions Gold Mine at http://www.idahochamp.com/.